Internal Storage Media – Secondary Hard Disk Drives, Flash Memory Drives – installed inside the computer. Common on desktops and servers, optional on higher end laptops. Very good option for home and business users. Total ownership and control of data. Very good option for automatic backup process. Suitable for main drive cloning providing a fully functional and bootable copy of the complete system and redundancy. Because of internal drives direct connection to the system board speed is as fast as the native system speed. 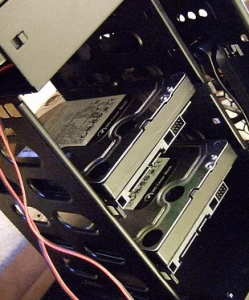 As any other hard disk drives – HDD do die in a random fashion! Total responsibility comes with total ownership and control (virus protection, power spikes, etc.). We’ll help you get back to work. Fast and Qualitatively. Copyright © 2019 CMSS - All Rights Reserved.